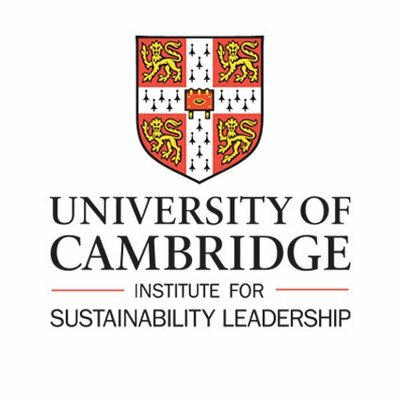 The Cambridge Climate and Sustainability Festival is a one-day annual festival organised by a group of Cambridge University students and run in partnership with the Cambridge Hub. The Festival is aimed at increasing awareness of climate change, sustainability and 21st Century environmental challenges, and most importantly motivating people to take unilateral and collective action. At this year’s festival we hope to spin strands of hope into a tale woven over the years with warnings and prophecies of doom. Our theme, “Affecting Every Existence”, aims to engage the audience on how climate change can and will affect each one of us but that every one of us can save countless lives by playing our part in giving back to Mother Nature. Save the date: the forum will be held on the 16th February 2019! We have an exciting line-up of speakers from around the world, workshops from local organisations actively engaging in sustainability, expert panels and discussions on environmental mitigation and the possibilities to help the climate in every aspect of our lives. Regularly check our website and Facebook page to stay up-to-date! The following is a list of the prestigious speakers who will speak at the Festival! Click on a speaker's name to view their profile: Craig Bennet , Tony Juniper CBE , Professor John King, Dr. Marco Springmann , Dr. Olivia Casaneuva , Dr. Claire Wordley , Rachel Pimm , Dr. Cameron Brick , Mark Crutchley ,Toni Rogers , Nicola Terry and Sir Andy Haines. Click here for a look back at last year’s event. Ethical Consumerism: What are the best alternatives to single-use plastics? Lunch is provided at a reduced rate by our partners Nanna Mex and Stem & Glory - just show your wristband to get the discount! Click here to download a PDF version of the timetable. Tickets are available for £5 (Student) and £7 (Non-Student) with no additional fees . Please remember to bring valid student ID if purchasing a student ticket (e.g. : CamCard)! Please feel free to contact any members of the team for any inquiries. This conference is organised and run by a group of students who are dedicated to spreading the word about climate change and environmental issues. This initiative is part of the Cambridge Hub, a branch of Student Hubs, a registered charity in England and Wales. (No. 1122328).